The following is a guest post by Chase Hommeyer ’19, a first-year undergraduate student at Princeton working at the Mudd Manuscript Library this semester. Hi everyone! My name’s Chase, I’m an undergraduate here at Princeton, and I’ll be working at the Mudd Manuscript Library in the Princeton University Archives this semester on the initiative Archiving Student Activism and Princeton (ASAP). I arrived on campus with the perception that the legacy of Princeton was one of prestige, rigor, achievement…and rigid tradition. I didn’t perceive that there was, or ever had been, a great deal of room on Princeton’s campus for activism–which is why I was so shocked when I started talking to Princeton’s archivists and began learning about the incredible tradition of movement, contention, and action on our campus. I am really excited to be working on ASAP. I think the time has come to reevaluate what it means to be a Princetonian. As Princetonians, we are inheritors of a long legacy of student activism. I define student activism not as acting on certain (liberal) set of political beliefs, but as broadly defined action: standing up for what one believes (whatever that may be), participating, getting involved, engaging, acting. Acting is what Princetonians do. It is what we have always done. Nassau Hall protest, April 1978, Princeton Alumni Weekly Photograph Collection (AC126), Box 33. 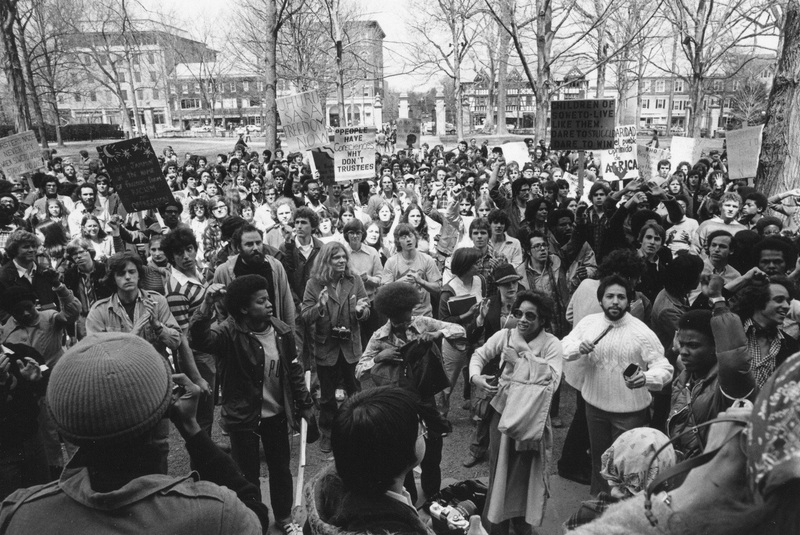 Some background on ASAP and why it is important: Archiving Student Activism at Princeton is an initiative launched last year in December 2015 by the Princeton University Archives to collect, preserve, and make accessible records of student activism. Historically, the University Archives has contained primarily official documents such as information from the registrar, or speeches and files from the President’s Office. ASAP is part of an exciting larger initiative–which has inspired other institutions, including Harvard and Middle Tennessee State universities–to redefine what we consider “valuable history.” The University Archives has traditionally been reactive in collecting archival materials from student organizations, and archivists are now becoming more proactive in documenting student life. And since being launched three months ago in December of 2015, ASAP has made some leaps. From the submissions we received from student groups, we were able to add four new collections to the archives. 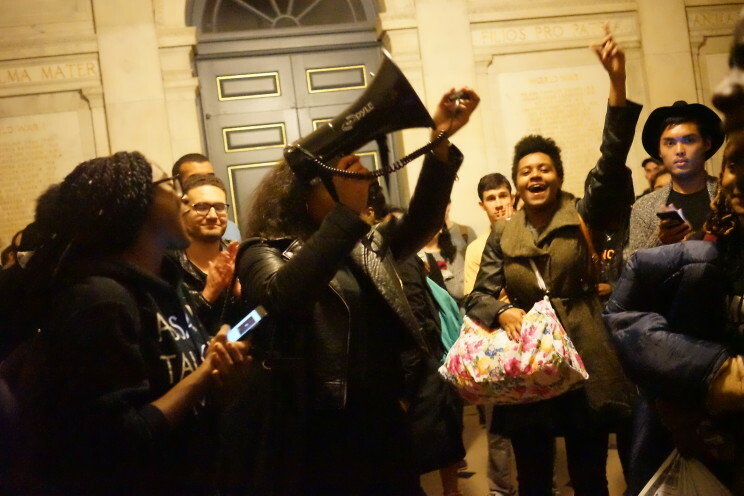 A collection from the Black Justice League, a coalition of undergraduate students dedicated to dismantling racism on the Princeton’s campus founded in 2014 as a response to the 2014 shooting death of Michael Brown by police officer Darren Wilson. A collection from the Latinx Collective, an unofficial student organization founded in 2015 with the goal of supporting Latinx students on campus and encouraging the University administration to respond to the state of their lived and varied student experiences. A collection from the Students for Prison Education and Reform (SPEAR), a student organization founded in 2012 dedicated to raising awareness about mass incarceration and advocating for the reform of injustices in the criminal justice system. A collection from the Sikhs of Princeton, a student organization founded in 2009 with the aim of creating space on the University’s campus for Sikh students to express their faith as well as to spread awareness of Sikhism to the Princeton community. We also crawled the websites and twitter feeds of two student press organizations heavily involved in covering recent campus activism, the University Press Club and the Princeton Progressive. You can view an archived version of the Princeton Progressive’s website on November 24th, 2015 here, and their twitter feed from the same date here. You can view an archived version of the University Press Club’s twitter feed on November 24th, 2015 here, and their blog here. Particularly moving to me was the archived twitter feeds of the University Press Club and Princeton Progressive. 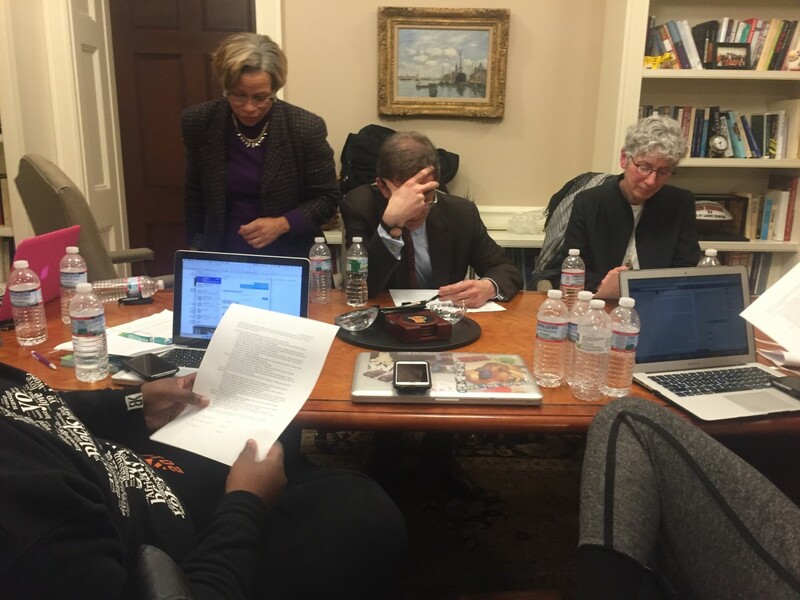 Students from both groups live tweeted what was going on inside President Eisgruber’s office during the 32 hour sit-in organized by the Black Justice league on November 18th, 2015, publishing a continuous stream of quotes from protesters and administrators, images, and video clips to convey the mood of the room and the rapidly-changing developments. The feeds are incredibly powerful. Photograph of #OccupyNassau sit-in. Posted on November 20, 2015 by Mary Hui. View the original here. President Eisgruber, Vice President for Campus Life Calhoun, and Dean Dolan review the Black Justice League petition. Photograph originally posted here. I am imagining future students and researchers not only having access to a goldmine of information about the proceedings during the sit-in, but the ability to feel the mood in the room. 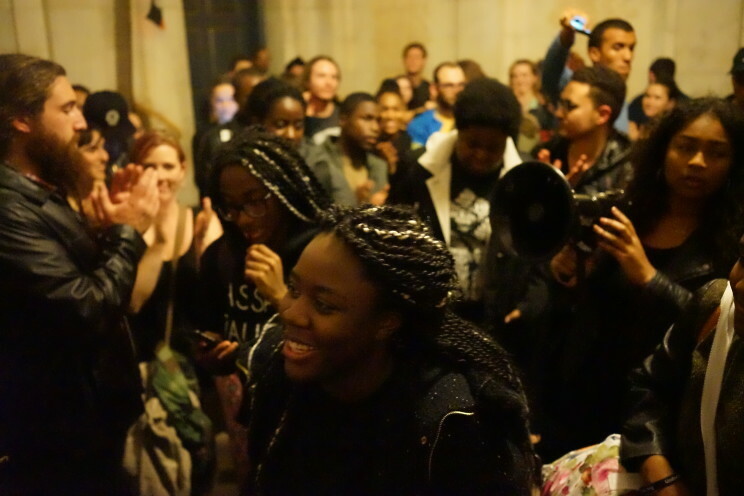 These feeds immortalize the sit-in and give posterity access to the spirit of activism at Princeton that has existed before they came, and will exist as long as Princeton lives. These new contributions to the University Archives will go a long way toward enriching and diversifying Princeton’s institutional memory. They will aid future researchers in gaining a fuller understanding of Princeton, and also greatly benefit future generations of student activists at Princeton, as they can access and learn from the activism efforts before them. Princeton’s mission statement boasts a “pervasive commitment to serve the nation and the world.” If we truly want students to be committed to serving others, that begins with being engaged and civically active. We need to shift the campus culture to value yesterday’s and today’s student activism as a celebrated manifestation of student service and civic engagement. I am very excited to be working in ASAP, and for the continual effort to archive–and thereby value–student activism at Princeton. Jarrett and I have projects in the works that will hopefully encourage students to use the archives to learn from past activism on campus, and also realize that the activism they are participating in is valuable history, that they are a valued part of our institution, and they should submit their record so we can save them for posterity! Keep an eye out for future blog posts from me because I’ll be posting updates about our project developments. 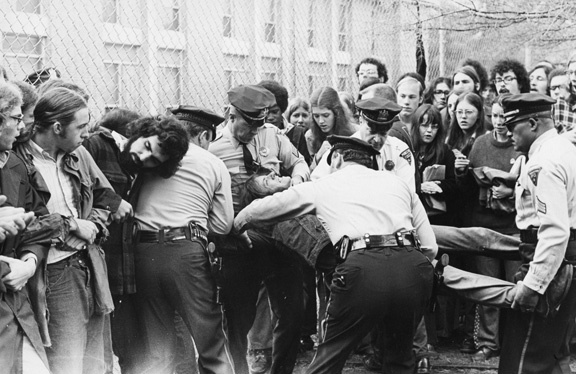 This entry was posted in Collections, Digital Collections, Mudd Library Staff, New Finding Aids, Princeton University Archives and tagged Activists, Princeton Student Protests by Jarrett Drake. Bookmark the permalink.